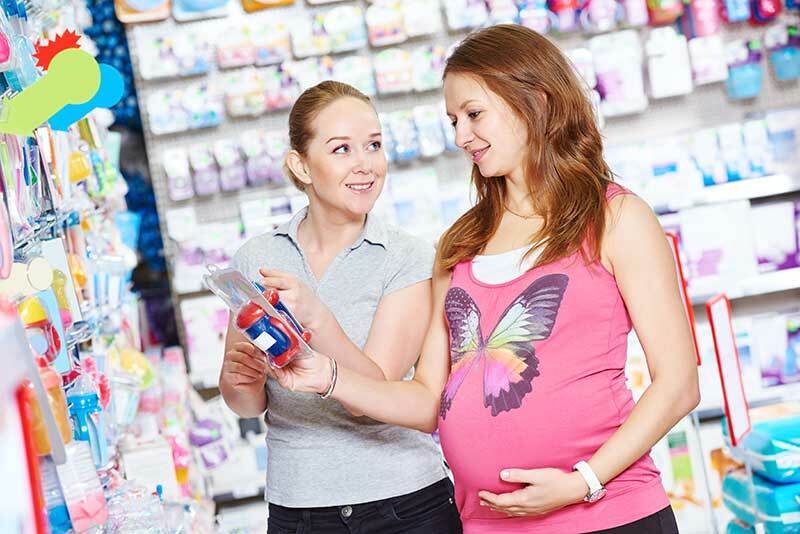 New parents are inundated with shopping lists about what to buy as they prepare for baby. Use this guide to plan your budget and get all you need for your newborn. A car seat is required before you can bring your baby home from the hospital, so make this the first item on your list. However, you can avoid having to buy multiple complete car seat sets by choosing one that allows the seat to locked into bases that stay in each car. Travel systems that also fit your preferred car seat are another way to maximize both the convenience and savings offered by choosing baby essentials that all work together. Safety should be your first priority. Let us advise you in a specialist shop! Cloth diapering parents will need to have approximately five dozen cloth diapers and five or six waterproof covers. All-in-one diapers are an option that can help you reduce your laundry loads while combining these expenses into your budget. If you prefer washable wipes, then also make sure to invest in a dozen baby washcloths. For disposables, start with two boxes of newborn sized diapers, but avoid opening them both in case you have a bigger baby. You will also need several boxes of disposable wipes, and it is always a good idea to stock up on diaper rash cream as you prepare for your baby regardless of your diapering preferences. Those adorable baby clothes are tempting to scoop up as you prepare for baby. Yet, having way more newborn sizes than the baby will ever wear is a common mistake new parents make. Newborns grow rapidly, and some babies are even born too big to fit into these tiny sizes. Just in case, have a few on hand. Then, focus on purchasing the next sizes up since that is what your baby will wear most. For your layette, aim to have at least eight onesies with short or long sleeves, depending upon your climate. Then, add several stretchy sleepers and gowns that can accommodate their umbilical cord until it falls off. You should also buy several pairs of hats, socks and jackets. Naturally, you will want a few cuter outfits for pictures, but avoid going overboard because you will probably get tons at your baby shower. Nursing moms will need to choose their preferred pump. Manual styles are less expensive, but they do take more time to get what you need for your baby. Electric pumps also come in several different models that include carrying cases and starter kits. 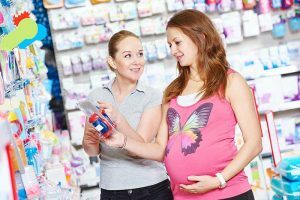 For most new moms, choosing a starter kit allows you to have the essentials without buying too much before you know if a particular model is best for you. Both formula feeding moms and those who choose to pump will need bottles. At first, you will need about eight four-ounce bottles to get you through one day’s feeding. As your baby gets older, you can then switch to bigger bottles. Typically, four eight-ounce bottles will do, but you may need a couple more if your baby attends a daycare. In addition to bottles and pumps, you will need burp cloths, bibs and a bottle brush and steriliser. Dishwasher organizers and bottle warmers are optional, but many new parents find them to be an essential convenience. As your baby grows, it is best to plan ahead for their needs. Consider choosing a 3-in-1 crib that transitions into a larger bed when your baby outgrows the rails. It is also important to think about babyproofing gear because your little one will be crawling before you know it. Once you have your basics, look into baby gates, outlet covers, cooker guards and bathtub thermometers that help you keep your little one safe as they start to expand their world. Make sure you have what you need for your baby without breaking your budget by sticking to only what is necessary for their health and development. By making smart choices now, you can rest assured that you will have everything you need without going overboard on the day you welcome your newborn to the world. Previous Post: « Can Neonatal Vitamin D Levels Predict the Risk of MS?